Mauritius is widely known as one of the best exotic and romantic travel destinations in the world. With truly incredible beaches, a wonderful climate almost all year round, and one of the most relaxing settings in the world, it is no surprise that the small island of Mauritius is such a popular tourist destination. Its beauty is not limited to these though since the island also has a great and varied collection of attractions that are well worth visiting. There are of course many attractions that you will no doubt hear about as you do your research on Mauritius. However, beyond these, there are already spectacular attractions that are however overlooked by most people. These attractions will make your trip to Mauritius even better as you get the chance to visit something unique and make your vacation even more memorable. The Champ de Mars is the sole horse racing track in Mauritius. 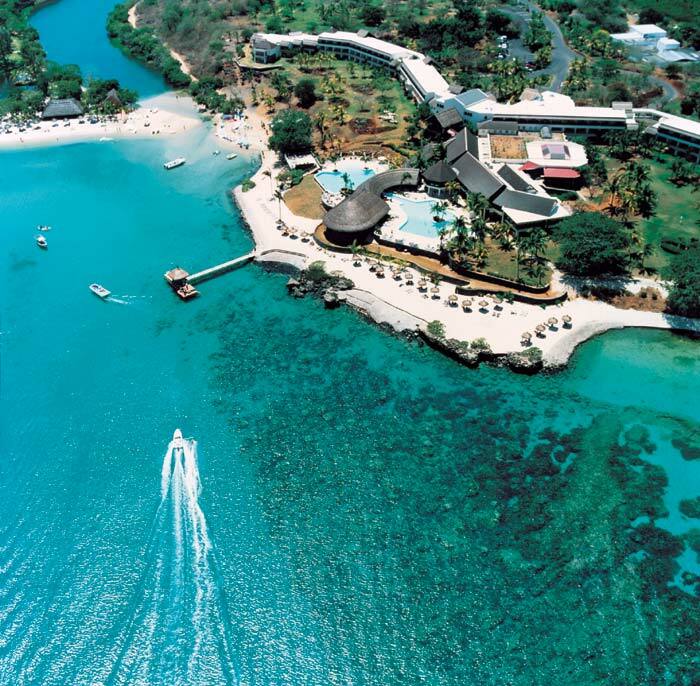 It is ideally located near the center of Port Louis, the capital and main city of Mauritius. The Champ de Mars is arguably one of the biggest and more popular venues in Mauritius but is often ignored by tourists since it’s often regarded as a mere event that occurs every weekend. However, there is much more to the Champ de Mars. If you love being at the middle of a huge frenzied crowd that’s cheering all day long until exhaustion, forget about the beaches. The Champ de Mars indeed offers the single best activity in Mauritius. Moreover, horse racing in Mauritius has nothing to do with its European or American counterpart. It is incredibly exciting and is actually regarded as a major event in Mauritius. Flacq is a village located on the east coast of the Mauritius. While it was generally a relatively small village where its population kept to itself, it has since rapidly grown in stature to become a must-see attraction in the island. Since Flacq hosts the largest open air market in Mauritius, it is a village that should not be missed. It is thus pretty much the perfect place to do your shopping and moreover gives you the opportunity to witness the truly remarkable multicultural population of Mauritius sharing a good laugh on a Saturday morning. The small village of Mahébourg in on the other hand found on the south coast of Mauritius. Mahébourg is also the biggest fishing village in the island and was originally the main port in the island (which has now shifted to Port Louis to further make the latter the focal point of Mauritius). If you are traveling to Mauritius, you should definitely check out Mahébourg for its great fishing spots. Its newly built waterfront is also an excellent spot as it offers fabulous views on the deep blue lagoon that is right next to this wonderful village. Ashvin is a travel enthusiast from Mauritius who writes for the Hotel Maurice Paradise Cove, a leading boutique hotel in Mauritius known for its exceptional Spa Ile Maurice facilities. I have found your site (http://www.travelblat.com/the-overlooked-attractions-of-mauritius/) when i search for different traveling spot in world.you are well define in your site for traveling spot.I know you have a good information about traveling spots I want to add one interesting article regarding a beautiful traveling spot. I am a travel article writer,I want to write a travel article for your site.So if you would like that, it would be great if you could post it on your site and it's absolutely free of cause,and also increase your content . Let me know here [email protected] if you are interested. Wow, incredible weblog structure! How lengthy have you ever been running a blog for? you make blogging look easy. The total look of your site is wonderful, let alone the content!